A little later in the day than usual (have been out in the wilds of Northumberland without wifi) now fortnightly, it’s time for Monday Funday! This fortnightly collection is comprised of the things which have been distracting, delighting, or diverting me online. Videos, articles, gifs, blogs, op-eds….you name it, I’ll list it here. 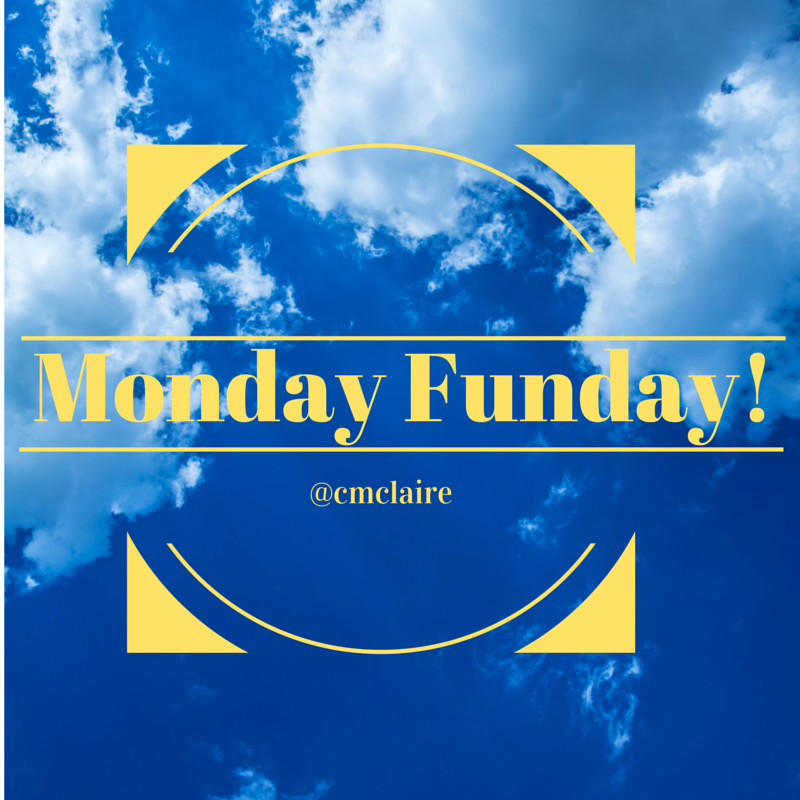 If you’d like to link up, please add your link below for a little Monday laughter, learning, or fun. Next link up will be on Monday 26th. * Therealtacocat’s instagram is awesome (or should that be paw-some? )….such a beautiful creature! * I was chatting with friends about chickflicks that we haven’t seen in too long. My submission? Miss Congeniality. Love this movie! * I loved The Office, particularly the relationship between Dwight and Jim. So this compilation of the best of Jim’s pranks is very much my bag…. * I enjoyed this post from Back to Her Roots on food planning for a week – we are trying to be ever more organised in this respect so it’s always good to see how others achieve that! * I love the Guardian’s music side, and this piece on how music can give a film its key moment is a great little thing.